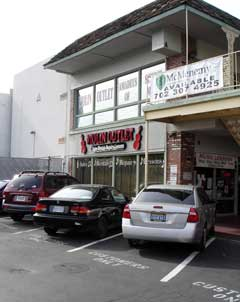 Violin Outlet opened its doors for business in 1983. For over thirty years, we have been providing quality stringed instruments with exemplary service to local students, professionals, and music educators. Our business has steadily grown to meet the demands of our community's cultural needs. Today, because of the success of our local string education programs, we carry one of the largest selections of violins, violas, cellos, and basses in the southwest. We are also one of the largest vendors of sheet music in the nation with hundreds of titles from student to professional works. We guarantee that our products and services meet the highest standards of excellence in our commitment to you, the customer. 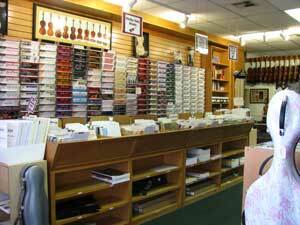 We aim to make your experience at Violin Outlet informative and rewarding in a family-friendly atmosphere. Our services are now expanding beyond the Las Vegas market by offering online some of our more popular student instruments, accessories, and sheet music. We encourage you to call and place shipping orders for any other products. Our staff is here to assist you with all your musical needs.